Ahmadiyya Muslim Community in Guinea Bissau on Friday held its 9th annual convention known as ‘Jalsa Salana’ at a Resort settlement of Saffine 8km from the capital Bissau. The three-day convergent brought together Ahmadis across Guinea Bissau and its neighboring countries. Amir Baba F. Trawally described the ceremony as significance, adding that it is a great mercy from Allah the almighty in fulfillment the prophecy of the Holy founder of the Ahmadiyya Muslim Jama’at, Mirza Ghullam Ahmad of Qadian. “ I shall give you a large party in Islam and also I shall carry Thy message to the corners of the Earth. Jalsa Salana, he continued is one of the branches of the revival of Islam on which purpose Imam Mahdi (a.s) was raised,” he said. 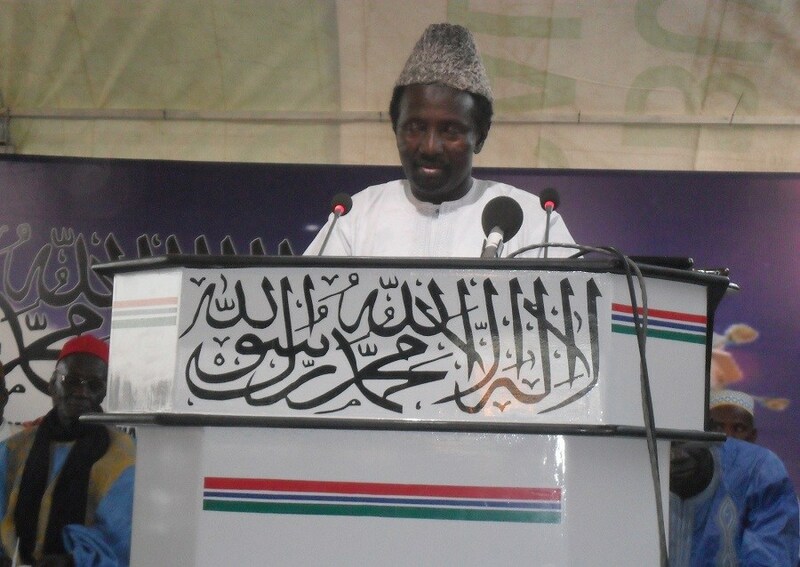 He said that Jalsa’s ultimate objective is to increase the love of Allah and his Messenger Muhammad (saw). He further challenged the members to always create good moral and spiritual relationship amongst them, and put into practice the divine message of the Holy founder of the Jama’at. Meanwhile, Amir Sahib on Saturday evening addressed the women wing of the Jama’at known as Lajna. Ustaz Muhammad Hassan Memon, missionary in charge of Ahmadiyya Muslim Mission in Guinea Bissau, in closing the three day convention said Islam is a religion of peace. Jalsa Salana Mubarak ! Indeed the message of the Ahmadiyya Muslim Jama’at has reached all the corners of the world.